Roy Ngerng wasn’t going to last in his job at a government hospital. As one retired lawyer friend said before the blogger was sacked, he had better not walk off with an unauthorised printout of a personal note of any kind or he’ll be out of a job. Well, Tan Tock Seng gave an explanation which the blogger said he “understood”. That is life in Singapore. Maybe he can live on the near $100,000 he’s raised on the web… know how your bread is buttered, and who butters it. Meanwhile, the people screaming at the government to return their CPF savings need to be clear in their minds what they are angry about. Are they short of money to live on? Have they used up all their ordinary account savings (on their homes)? If they are short of money to live on, what will they do with their retirement account once it is withdrawn? Go spend it on another holiday? If they have spent it on their homes, is it not time to consider down-sizing? Unless they’ve been playing the property market and have been burnt by the casinos, the very same properties which they purchased using their CPF years ago must have appreciated manifold, thanks to the CPF. Have these screamers forgotten that their employers have had to fork out another 20 per cent or thereabouts of their salary each month — they go to court if they do not pay up (tough for the self-employed, who get nothing, except the minimal sum they put in). If they’re dying and want to withdraw it out now, I’m sure a case can be made to the Minister in charge of CPF. 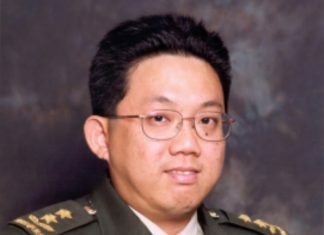 If the “public” doesn’t believe the government’s undertaking that their CPF money is fully-backed and safe, why on earth did they return the PAP to government term after term after term? 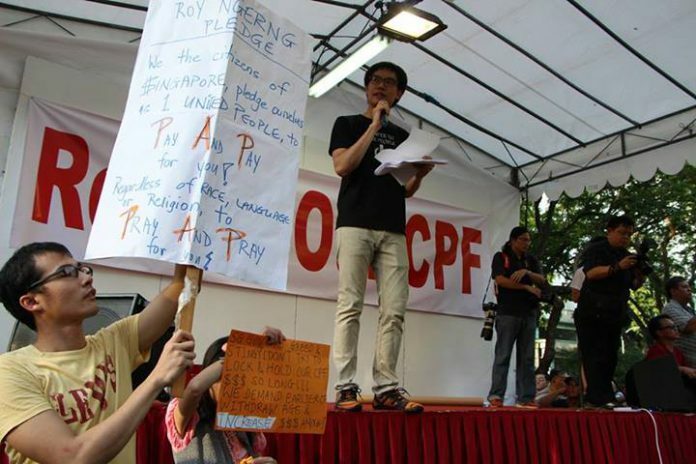 Perhaps the WP MPs want to stay clear of two-bit blogger Roy Ngerng who is being sued by the Prime Minister for defamation for alleging “misappropriation” of CPF funds. No point drawing dung on the Workers’ Party when the cow is crapping all over the place, in the name of Singaporeans. Just for the record, Roy, you don’t — and I hope never get to — speak on my behalf. But it is amusing to see the ruling party members wincing helplessly. In the meantime though, I wonder what sort of advice the prime minister is getting from his communications adviser, Janadas Devan. Why isn’t Janadas writing, as Braema Mathi suggested, a point-by-point rebuttal? Piece of advice, Janadas: write in 40-word points. Today’s youth are incapable of reading anything more at one go, twits that they are.